I found one about 5 years ago on eBay, created it and gave it, but didn’t get the specifics on it, to reorder. I have brides out there that would like us to create again, but I am having trouble finding what I need. Just a reminder: Don’t throw out your old cards. Are we missing any of YOUR Holidays or Special Occasions? There are so many special events or dates in our lives. Some of these dates mean something only to us and possibly our special someone, or so we many think. Using myself as an example, the anniversary of my last drink – my “AA Anniversary/Birthday” as it’s commonly referred to is an annual event that I celebrate. This is not just a date that I celebrate, my family, kids and my AA sponsor all know how much this day means to me. Can I go into your local “Big Name” greeting card store and find a specific card commemorating this day? Nope – now I can go in and get a Happy Birthday, Anniversary or an Encouragement card but not one that shows just how special this day is to me. I watched an episode of ABC’s Modern Family the other day and learned how Gloria likes to celebrate everything from her relationship with Jay. From what I understand men have trouble remembering their wedding anniversary can you imagine having to remember the date of your first kiss, first date or the exact day you found out you were pregnant? I suppose if I sat down with a calendar or reviewed an old journal I might be able to come up with those dates but off the top of my head the closest I can get is the month in which these happened. So here’s what I’m looking for – what days or events do you celebrate that are special to you or someone you care about that you’ve always wished there were specific greeting cards designed to help you celebrate? How can JillCards customize a card for you for your special days or events? Let us help with that – as I’ve learned in life there are so many things in which I believe I’m unique and in actuality, there are many who have those same feelings, thoughts or special events. Help us figure out what those are…..Thanks and I can’t wait to see what you come up with! 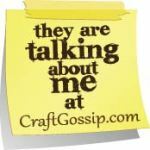 Check out this great blog…it’s directly in line with my recycled cards and “Send again” concept. Explore the stop place for American Women Inventors. Shop women invented, unique gifts, kid and baby products and much more. 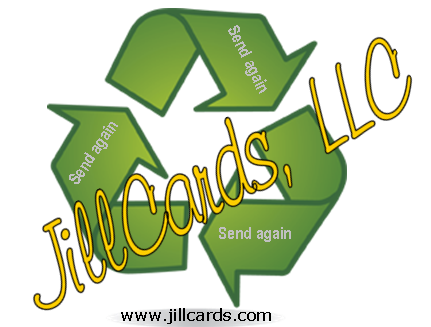 JillCards, LLC • Time to order your Mother’s Day Cards….